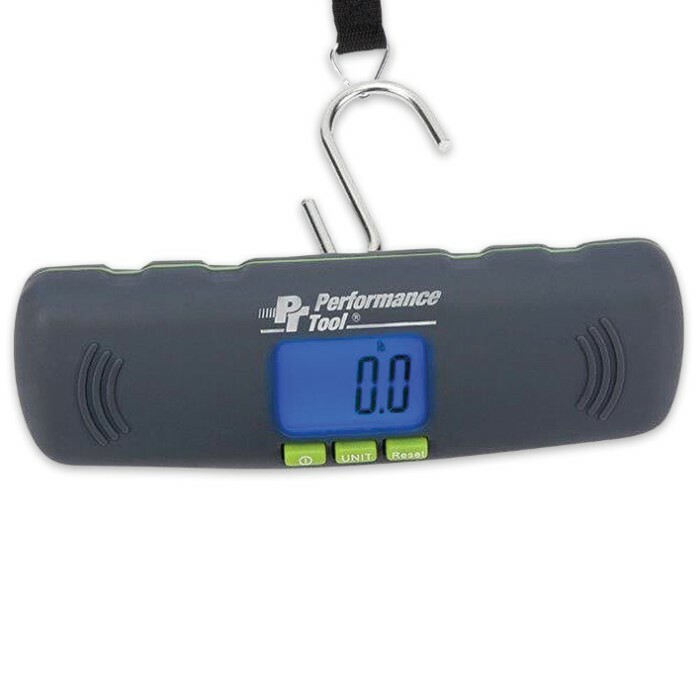 100 LBS Digital Scale | BUDK.com - Knives & Swords At The Lowest Prices! Capacity 100 lbs. ; 45 kg. The 100 lbs. 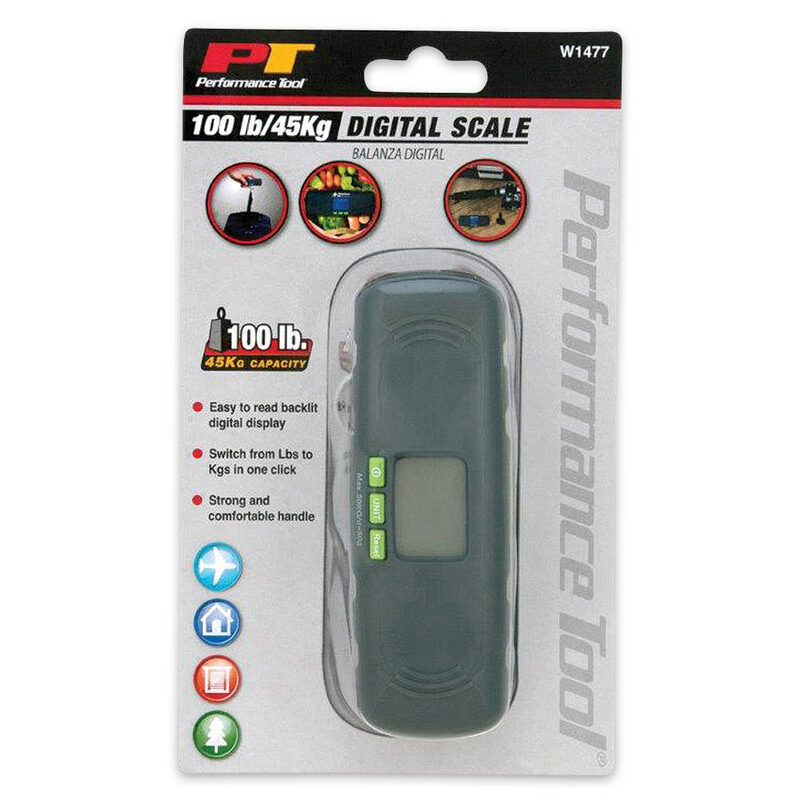 Digital Scale features an easy to read backlit digital display. It switches from Lbs. to Kg. in one click. It also has a strong and comfortable handle. 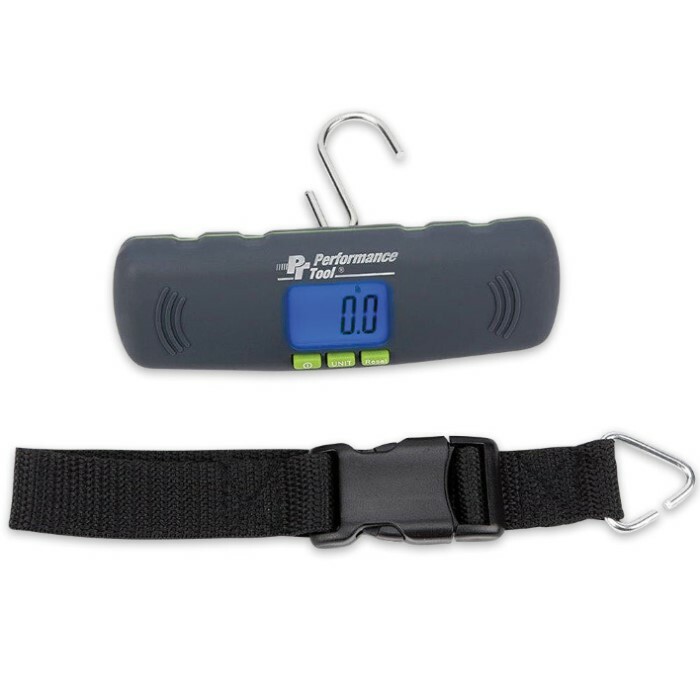 The scale’s capacity is 100 lbs. ; 45 kg.